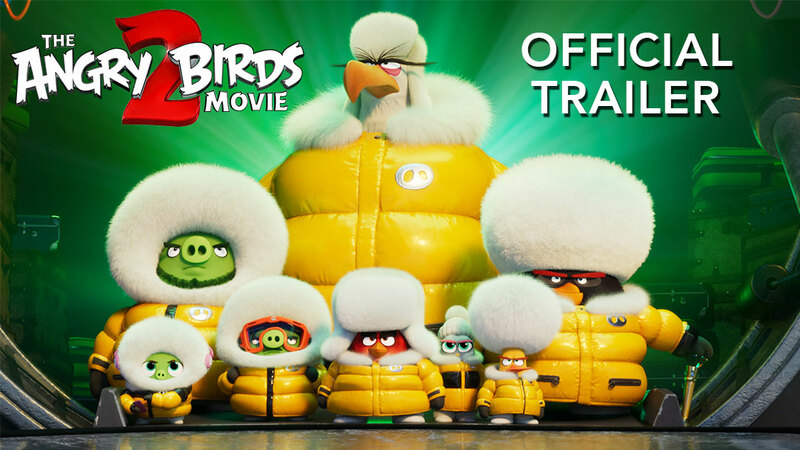 Angry Birds 2 turned 2 last weekend, and it just wouldn’t be right to let that sort of thing go uncelebrated. No, there are plenty celebratory things planned, chief among them, an exciting new update that’s all about partying with your friends. I’m talking about CLANS. 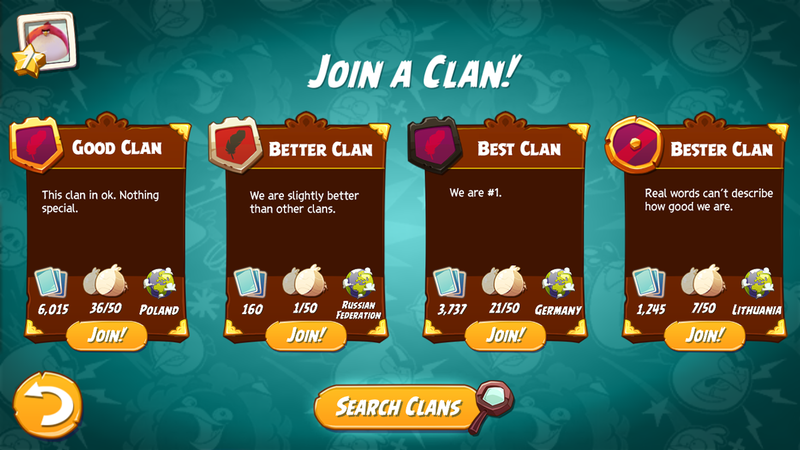 With the Clans update, you can now team up with your friends and/or other bird flinging people around the world to take on new clan challenges for some excellent rewards. Before we get to those rewards though, we have to join a clan. Take a look below for the details on how to do just that. 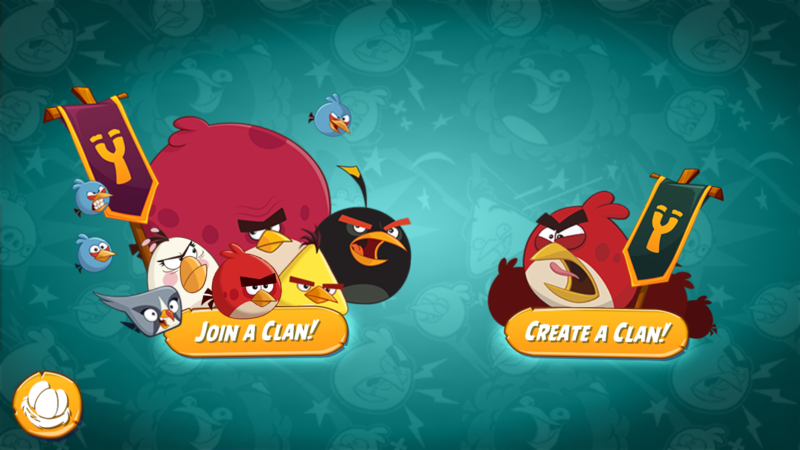 First things first, download Angry Birds 2 here! First, to join a clan you have to be at least Star Level 7. If you’re not there yet, go knock out some levels and earn some XP. Not only will you unlock Clans at level 7, but you’ll get access to the PvP arena, and Daily Challenges along the way – even more ways to earn rewards. 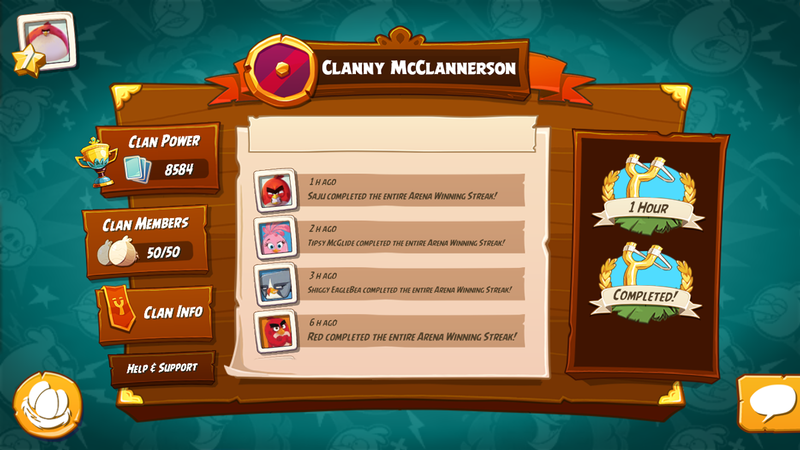 Once you get to Star Level 7, the Clans icon will be set free from its chains and ready for use. Check it out in the bottom right of the main menu screen. Go ahead and tap that thing. You will be given the choice of joining an existing clan, or creating your own clan. Tap Join a Clan, and you can browse through some clans that are looking for more members. If you’re looking for one clan in particular (if your friends have already started a clan for example), tap Search Clans and you can search by Clan name/ID, location, type, and number of members. 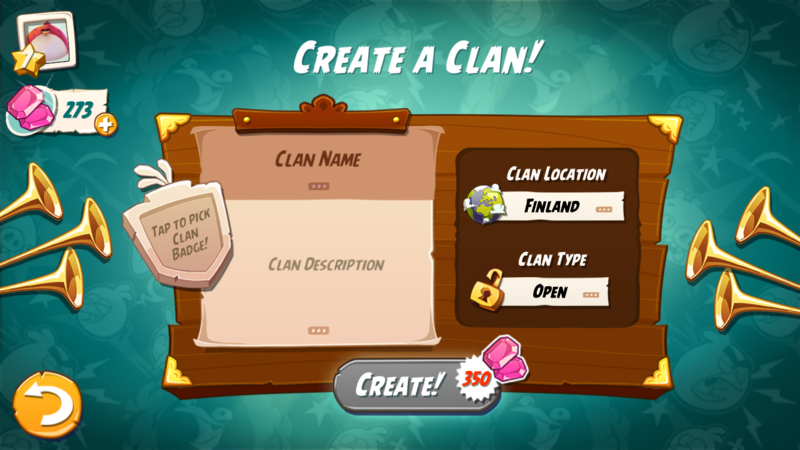 Create a clan by choosing the Create a Clan option (duh). Note: it will cost 350 Gems to get a clan going so keep that in mind. Create a fearsome name, add a description, and you’re almost there. Just choose whether the clan is open (anyone can join), or closed (invitation only), and you’re good to go. Congratulations! You’re now a clan leader! I’m in a clan. What now? Now that we’re all clanned up, we just sit back and let our clanmates do the heavy lifting while we reap all of those rewards. Hehehe–NO! Clans are all about teamwork! To succeed in clan challenges, every teammate has to pull their own weight. Speaking of challenges, to see the active clan challenges, open the clan menu (after joining or creating a clan ofc). Take a look to the right side of the above image, and you’ll see two badges. These show that there is 1 active challenge available, and one that is completed. Tap a badge to see how your clan is progressing, or to claim those sweet rewards from completed challenges. This challenge is all about earning points for the team and completing win streaks. Finishing a level awards you with one point. Each consecutive win will add points to your total, but lose and its minus points for you. 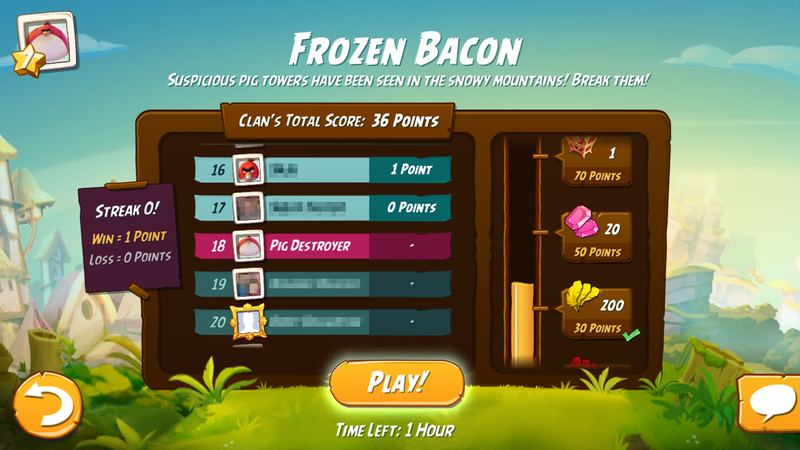 The meter on the right (see above) shows the clan’s total points, and the rewards that will be earned at the end of the challenge. As to be expected, rewards get better the more points the clan earns. From here, all that’s left to do is tap the play button, and beat some levels! That should get you started for now. Be on the lookout for new Clan Challenges coming in the near future. 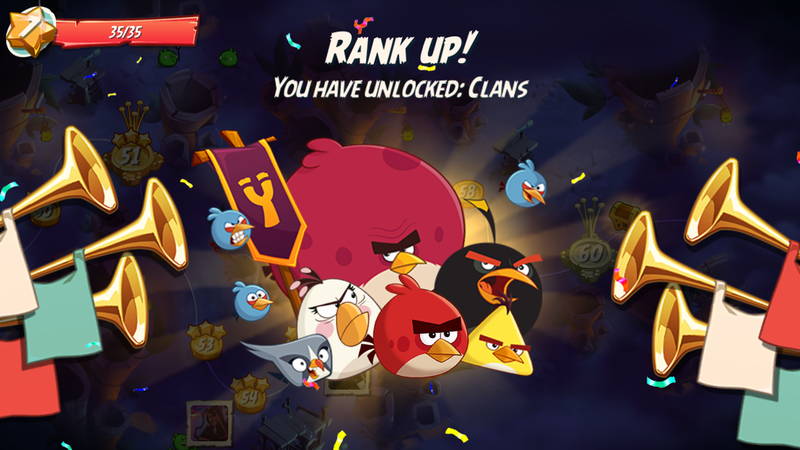 Stay tuned to Angry Birds 2 on Facebook, and check back in the game itself so you don’t miss a single challenge – your clan depends on it! So I got the announcement of an update, did it, and it erased everything I had accomplished to date. Is there any way for me to get back to where I was? The Game has me starting all over again at level 1. One sure shot way you can leave and return back as clan manager, is to hand over leadership to a trusted clan member who will not leave and give it back when you return. Come over and join our small dedicated little clan called ‘Flickin It Guud’, as we are active daily and focused on obtaining powerups!!! How do I get people to join my clan? I made a clan 24 hrs ago and still have no members!! I’m a leader of a clan. Can’t I also join clans?? Hallo, i am in star level 70 but i do not meet the requirements tot the clan feature. Why??? Anybody know why the clan feature is not available? Разработчики вы там чем занимаетесь?сколько уже можно исправлять и нихрена не исправить?!!! Игра попрежниму вылетает с видео.вы читаете хоть что вам пишут?Когда исправите ошибку так и выкидывает из игры при просмотре видео!!!!! !у большое желание удалить игрушку.жалко то что столько времени потрачено.После последнего обновления игра вылетает при начале просмотра видео и на арене и в клане.исправте пожалуйста ошибку!!!!!! Yesterday I spend 120 gems in mine clan, I finish in the first place (100 Pearls), but I cannot collect it and don’t was ad to mine pearls stock to. This Angry Birds 2 has so much errors. Hello, what do ranking of each clan members mean? I mean my birds are the most powerful in my clan but I still dont have the best ranking. I am a leader of a clan as well, I recently started Vamps Clan and I can not find a way to invite or send invites to people.. Any1 figured it out? Hi, i open a new clan, named “ninja bird”.We need more active player to join the clan. So if anyone interested ,pls join the clan. We are waiting for you. This is a brand new clan and ready to grow aas a great team. Join us in the fun! Join my clan Salad Fingers! can someone please tell me in a clan vs clan what dose the egg next to your score mean. 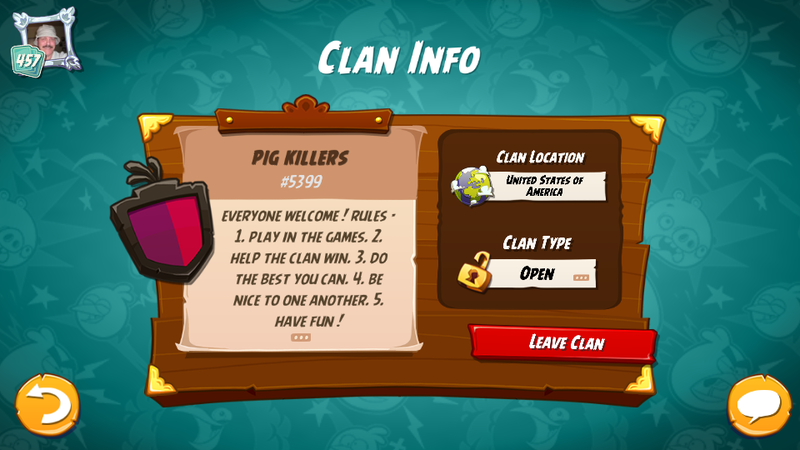 Hi, iv just started a clan called “pigs might fly” and am looking for anyone who may want to join. Not in it to be serious, just a bit of fun! 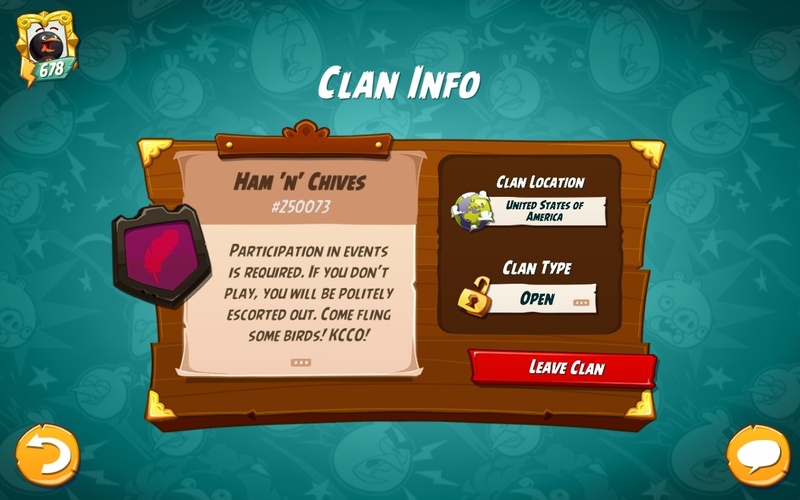 Looking for active players to join our Emerald rank clan called Ham ‘n’ Chives. Looking to expand up to Amethyst rank. Recently had to kick a bunch of non-participating players. We play all events/challenges. Over 150 flockpower preferred, all are welcome though if you participate.